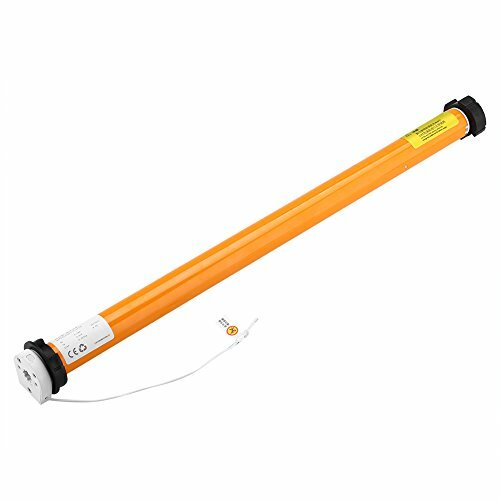 【Electric Roller Blind】High quality electric roller shade motor for convenient opening, closing and controlling the curtain. 【Safe and Reliable】It is of high performance and low noise while operating. Can be mounted on both ceiling and wall, or any other angled surface. Safe and easy to use. 【Compatible】Compatible with external manual switch and also can be controlled by remote control which should prepared by yourself. 【Widely Use】Suitable for all places of building curtain automatic control. Such as hotel, apartment, office building, exhibition hall, meeting room, modern family home curtain control. Mainly applied to indoor small roller blinds, pleated blinds, small screens and the shading blinds of car, bus, yacht, ship, etc. 【Warranty】1 year warranty, 30 days money back, 7x24 hours email support.